Sleep? Less than five hours! Not the best way to start this adventure, but it is what it is. Work? Yes, I’ve been to the office for almost a full work day. I’ve tried to not be too distracted by the excitement ahead. I might have failed with that. I’m quite glad that I’ve got colleagues who – if not exactly share my fangirly excitement – are happy for me and listen to me go on and on about Frank on occasion. Like today. Coffee, Cake & Chocolate? Aplenty. In the morning at home. Starbucks at the airport. Birthday bash with cake at the office in between. Cake and custard as dessert at my lovely hosts Amanda & David. Distance? I’m too tired to look it up now. 1h drive to the airport. 1h 30 min flight to Manchester. Lots of walking as well, because arrival and tram station are quite a bit apart. Song of the day? The whole Don’t Worry EP, I guess. Nice surprise for Frank centred weekend. Been More Kind? I’ve tried to be and I hope I can say I’ve mostly managed it. Level of excitement? Through the roof! 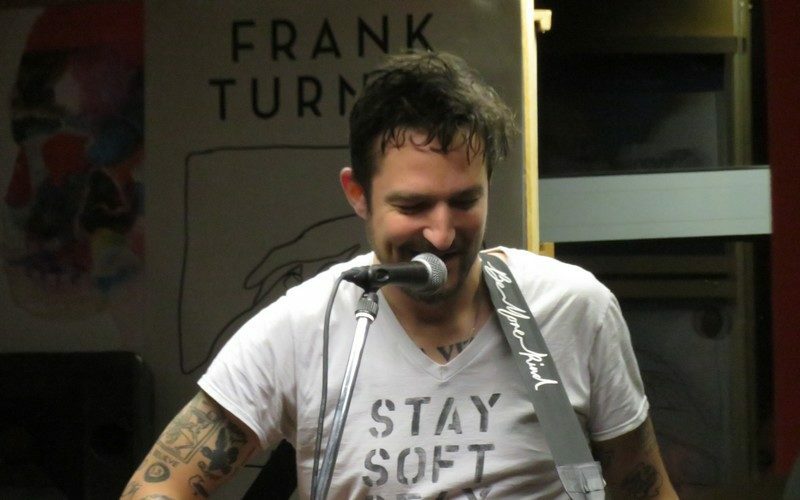 Frank Turner is playing to about 100 people at Hat Works tomorrow. (And I know someone on the ‘inside’).